How do you read the world? 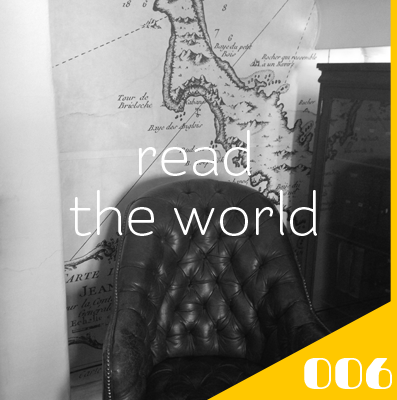 How do you read the world? What color is your perspective? Are you an optimist or a pessimist? Do you lead with cynicism or hopefulness? The way you read the world influences how you process it, how you rearrange all your input into output. It lends tone to your work. There's a reason why reframing work is so popular. It's transformative. Changing how you see changes how you are. If you want to change your output, you either have to change your input or how you process it. Or both. Part of being an artist, even a lowercase artist, is allowing yourself to explore new ideas or new ways of being. You allow yourself to try on new conditions or circumstances to obtain new information. Make a change and call it an experiment. Open a door you've been keeping closed. Take an obstacle and redefine it as a resource. Let yourself be surprised, maybe even astonished. Let yourself rediscover what it means for you to read the world.